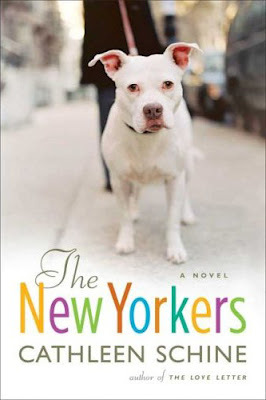 One of the blurbs on Amazon.com states this is "a funny, varied, farcical roundelay of people and dogs on a New York block." I'm guessing the proportion of 1 dog to 1/2 out-of-focus person is just about right. I hate this cover. I saw it in the window of Barnes and Noble. The ranbow of text is SO tacky.